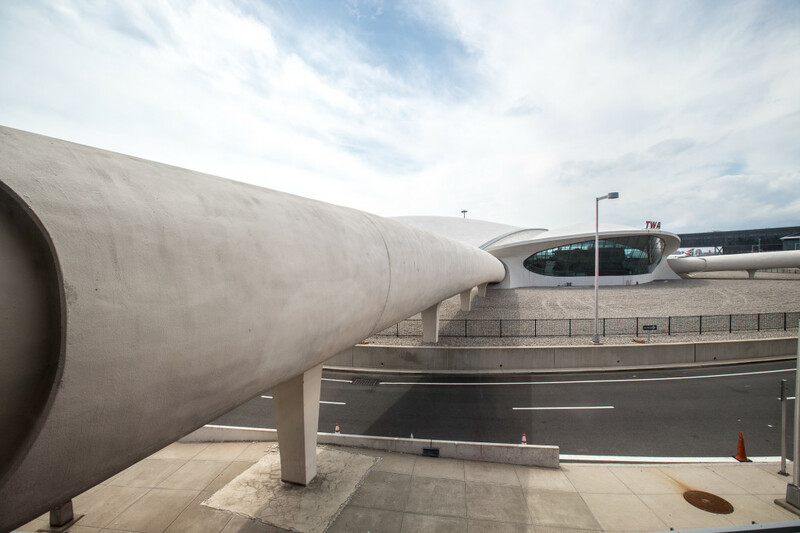 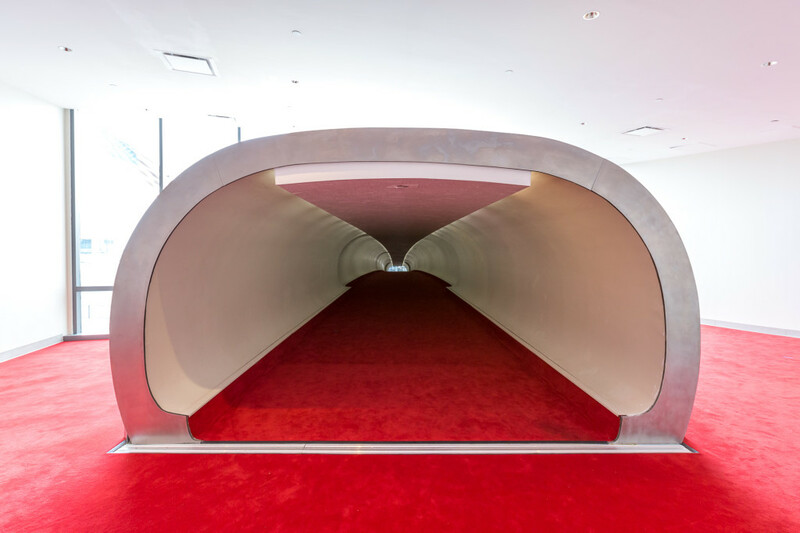 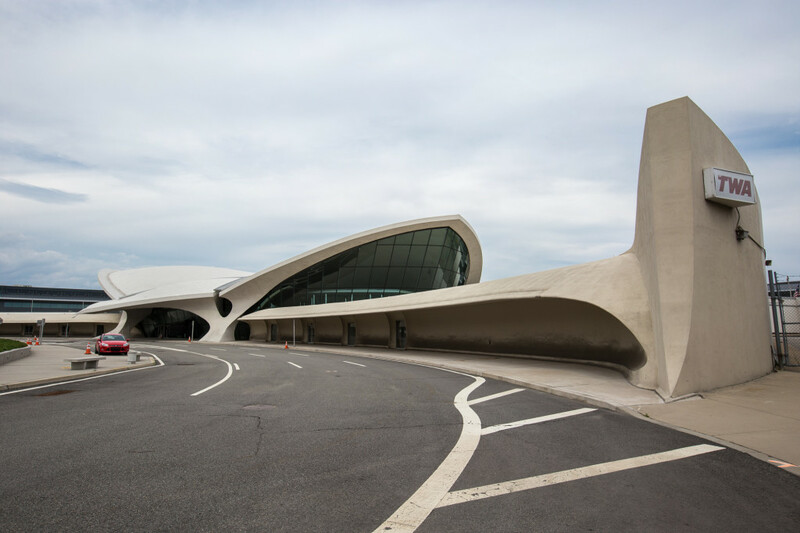 The TWA Flight Center at JFK is a marvel of mid-century design in the Jet Age, a sleek, futuristic place that evokes a bird in flight. 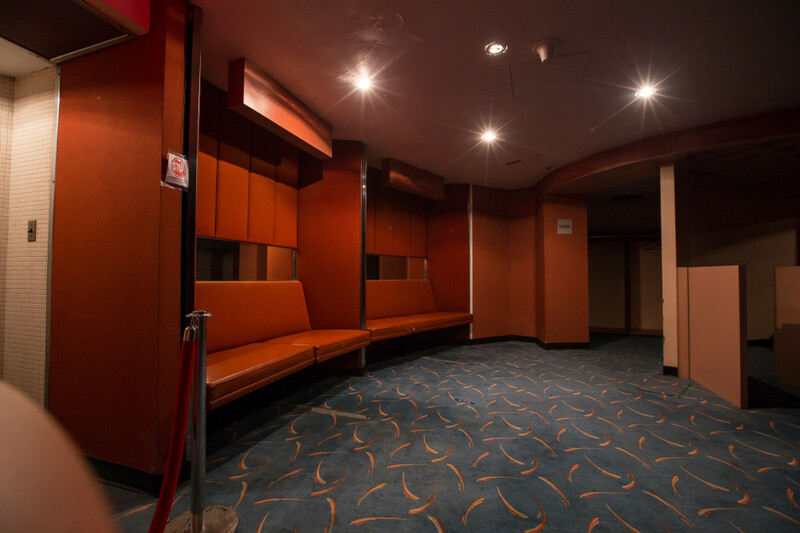 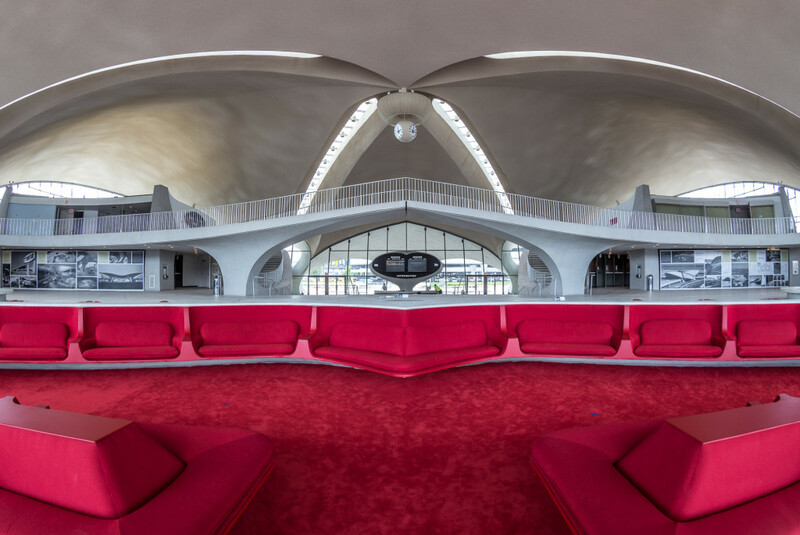 It’s been largely off-limits to the public since 2001, but architecture photographer Max Touhey got a rare look inside. 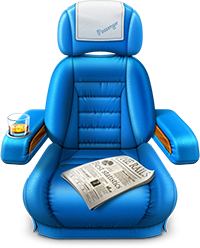 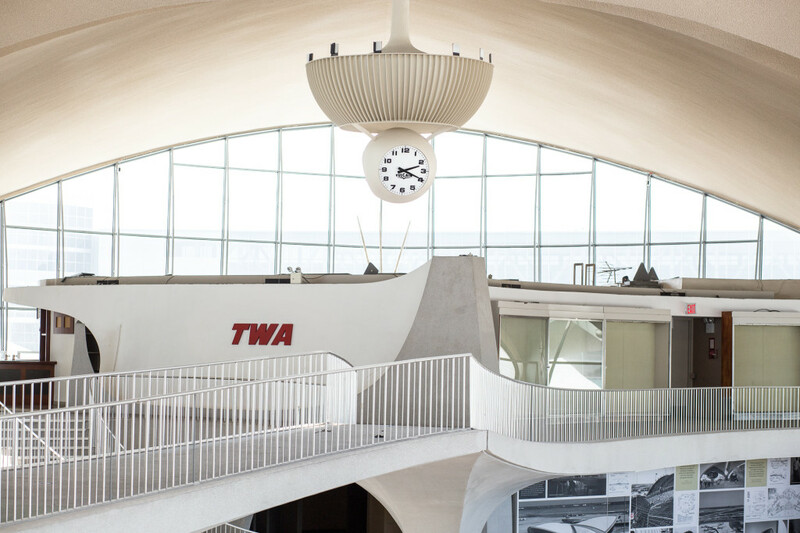 His remarkable photos provide a glimpse of the golden era of air travel, a time when flying was exciting and new. 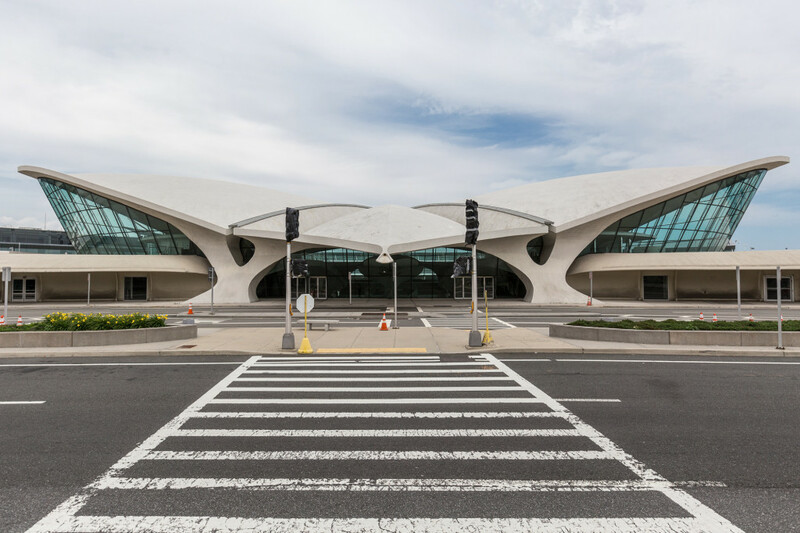 The building, a designated historical landmark, stands in stark contrast to the almost institutional nature of most airport terminals. 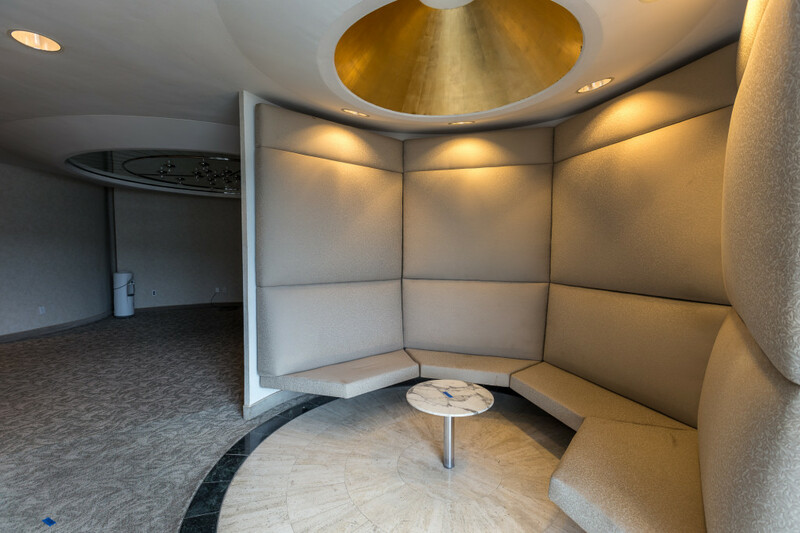 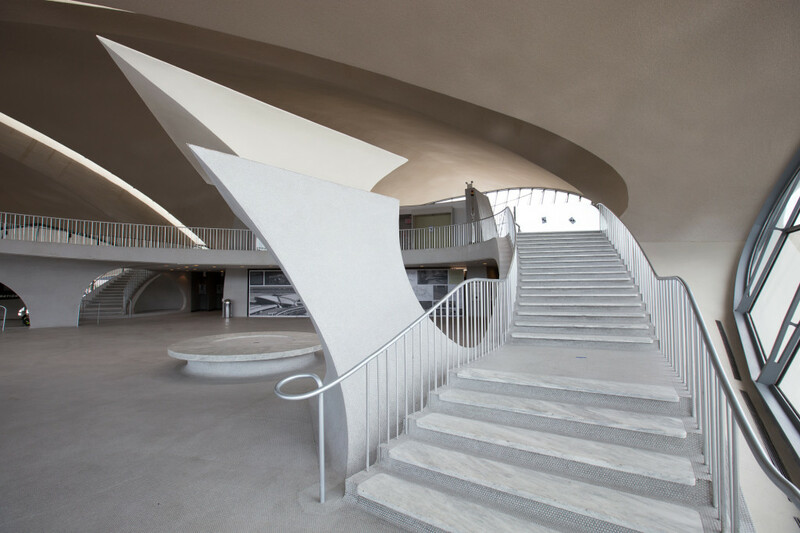 It was architect Eero Saarinen’s final project, and opened after his death in 1962. 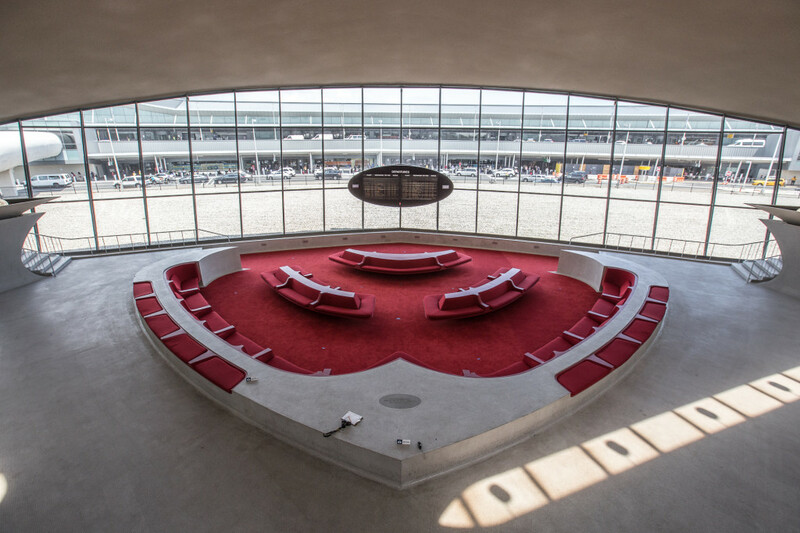 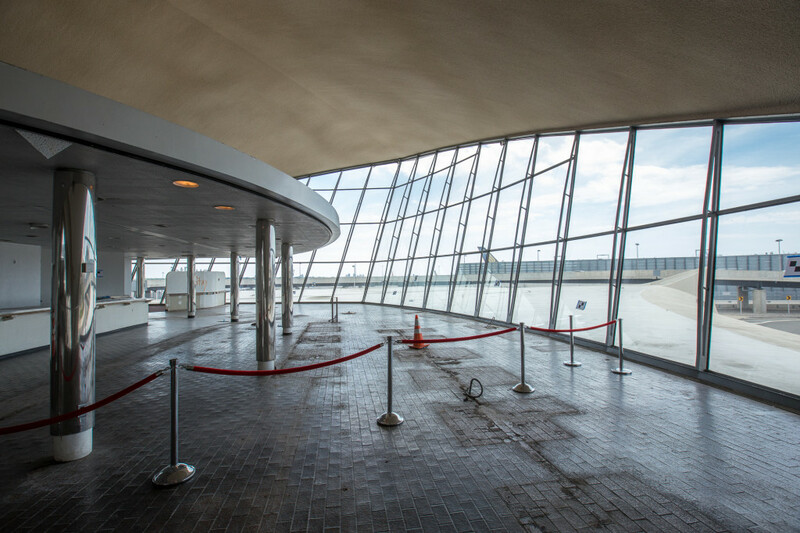 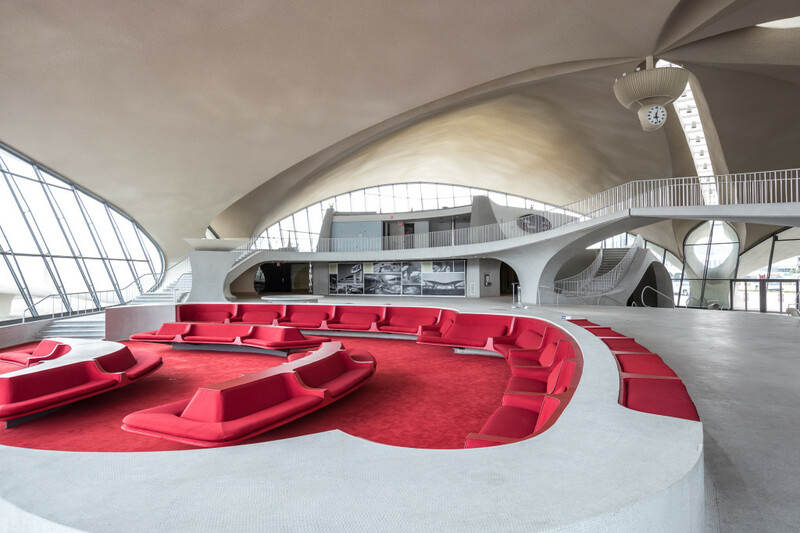 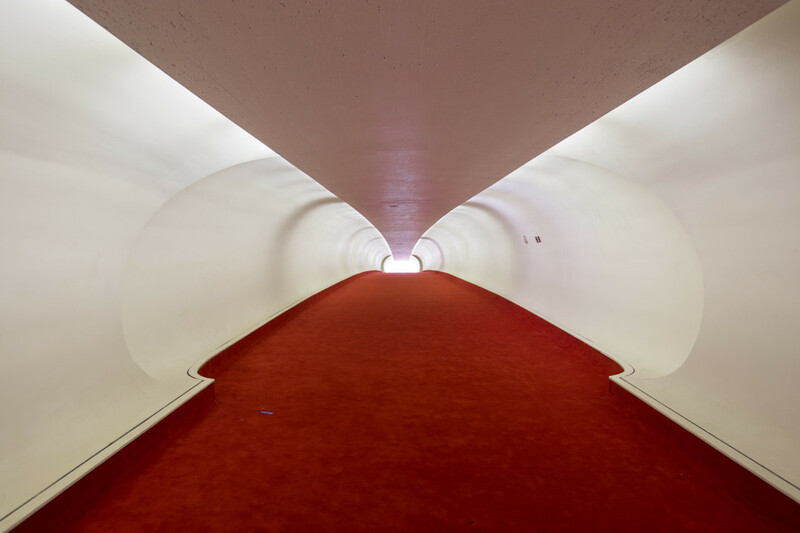 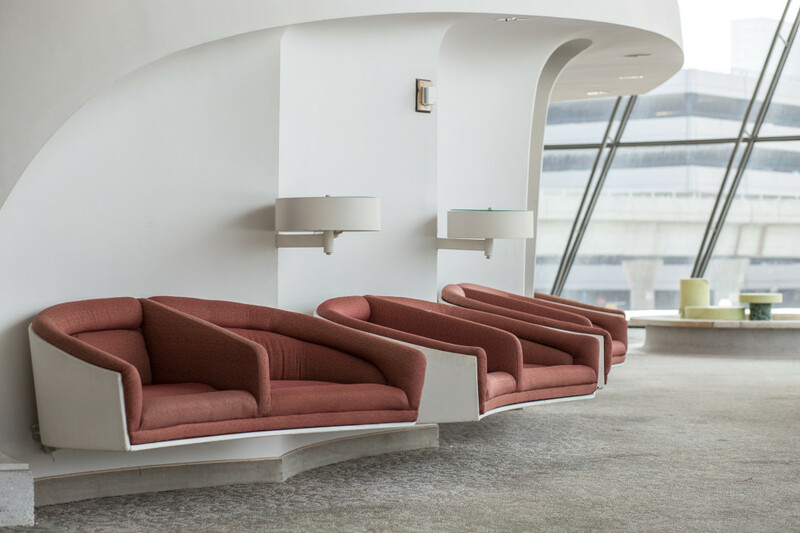 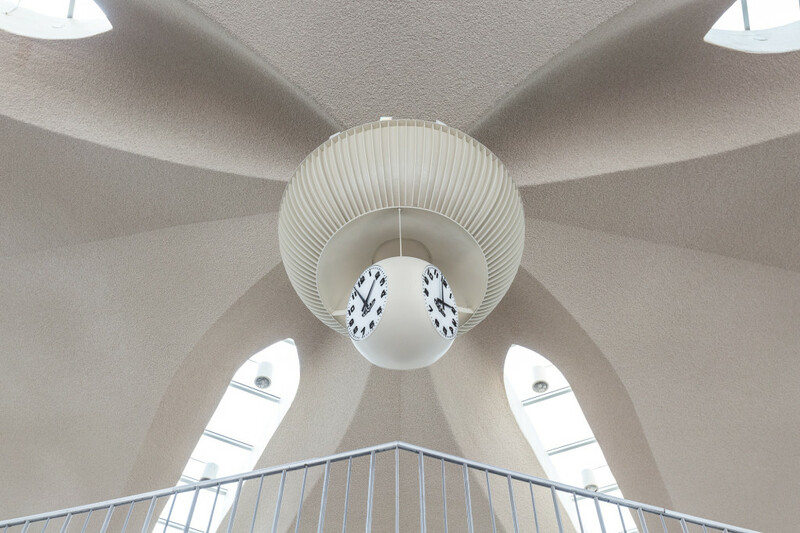 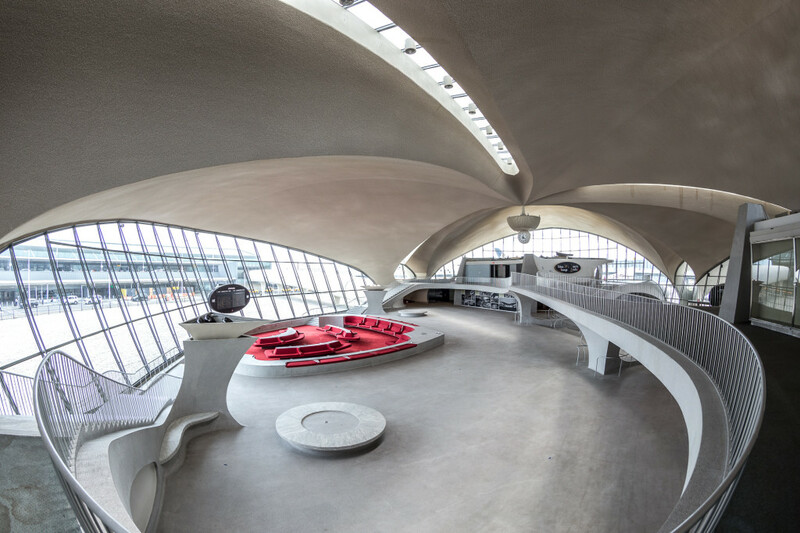 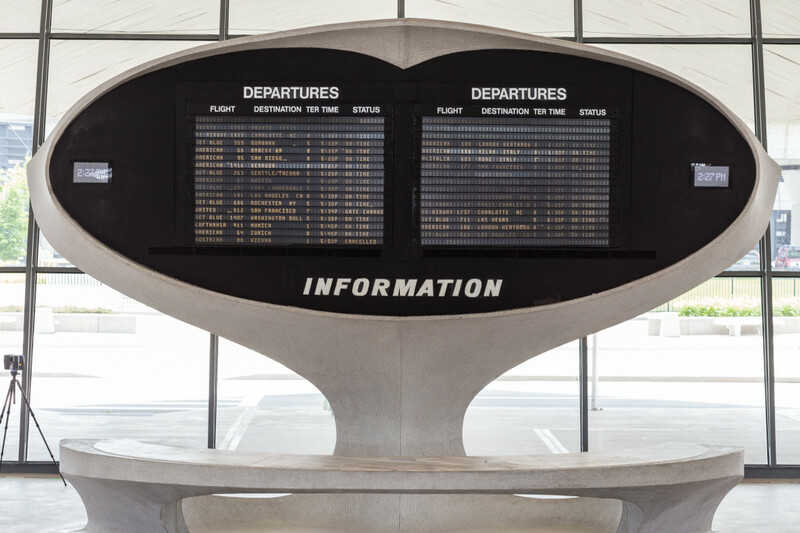 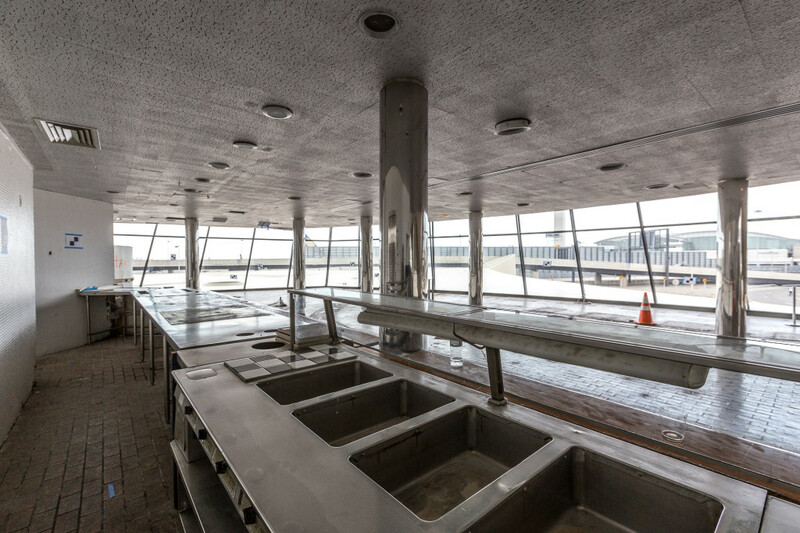 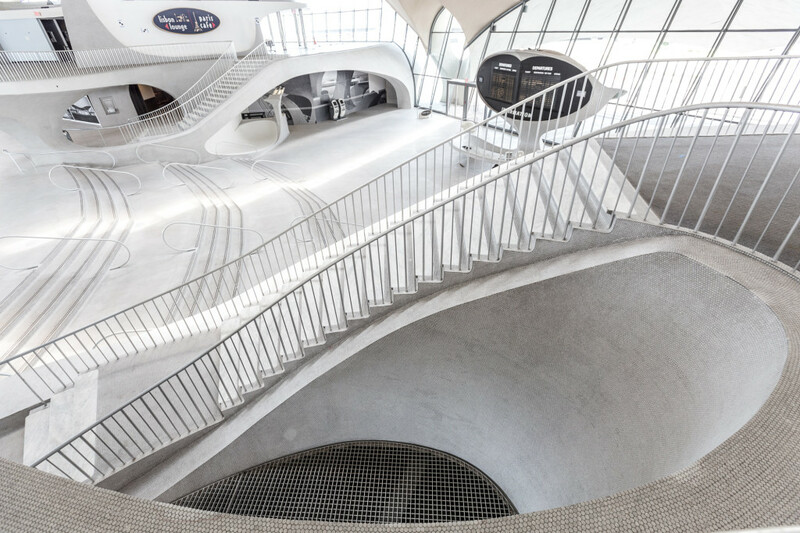 Although its features and amenities may seem quaint, even antiquated, today, the TWA Flight Center was a beacon of the future with its electronic schedule displays, closed-circuit televisions and food court. 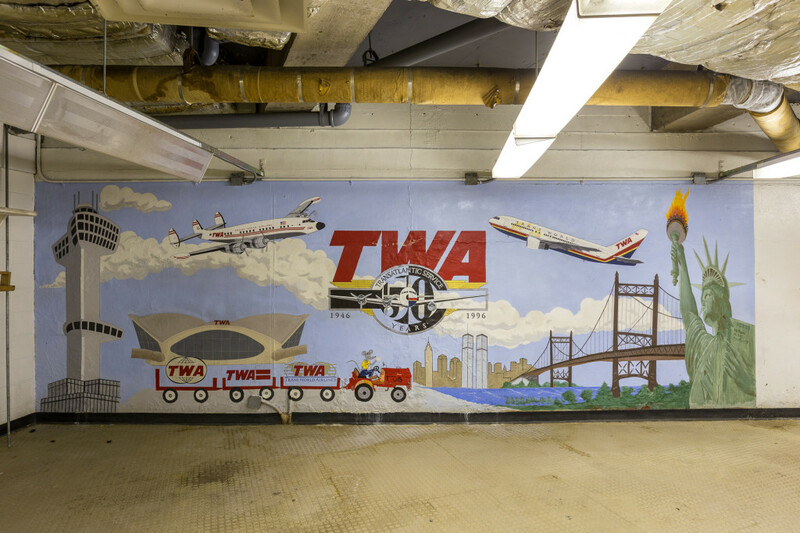 The original terminal closed in 2001, but portions of it reopened seven years later as part of Jet Blue’s new Terminal 5.